BONNEVILLE DAM, Ore. -- Fish and Wildlife officials have killed the first California sea lion of the season at the Bonneville Dam. The animals prey on endangered salmon and steelhead runs heading up the Columbia River. Last year, biologists received a federal waiver to kill sea lions tagged and registered as "repeat offenders." The waiver stipulates how many sea lions can be euthanized or relocated. 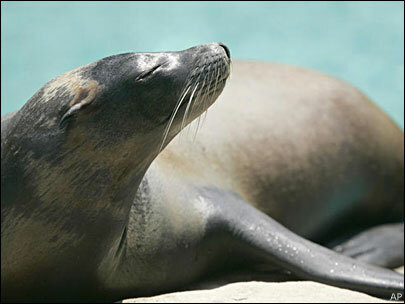 Biologists are allowed to administer a lethal injection or kill the sea lions by gunshot. Last year, 11 sea lions were killed. Others were relocated to zoos and aquariums across the nation. This year, as many as 64 sea lions could be euthanized.